Which are specially designed and woven for the diffusion and filtration of aluminium. High twist yarns are used to control strand diameters and resist flattening or distortion under pressure from contact with molten metal. 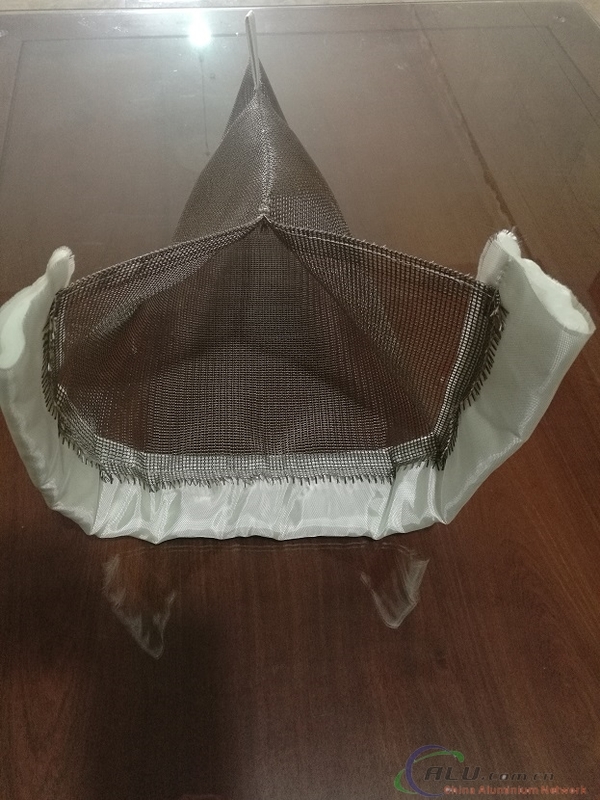 We meet highest technical requirements and are particularly distinguished by High quality level( Sewing skill, less LOI, High thermal resistance, Best filtration effort) Applications for large particle filtration for wash reduction include trough socks, channel bags, launder windsocks, spout socks , combo bags. Advantages: --Ease of installation --Reduces turbulence --Improves metal distribution --Reduces scrap --Removes oxides --Eliminates spike racks --Produces minimal odor and smoke upon contact with molten aluminium Availability: --Woven fabrics, in a variety of weaves and coatings, available as custom made pre-sewn shapes, with or without gaskets or wires, or in roll form. --Customized weaving can be done to meet customer needs, if required.